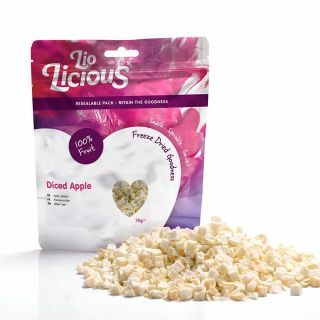 Maybe your looking for a boost of apple flavour in your sweet or savoury creation? With so many uses for the Apple Powder, it is a great staple in all kitchens. You might even use freeze dried apple powder as a subtle way to start incorporating more fruit into your daily diet, try adding a sprinkle over the top of ice cream for a delicious treat. There are no preservatives or additives, meaning you get nothing but 100% pure powdered apple. Freeze dried apple powder also weighs far less than its fresh counterpart, meaning you don’t need to use much to get a huge boost of flavour and nutrition. Whatever it is you’d like to create, freeze dried apple powder is a versatile ingredient to have in the kitchen. It also lasts longer than regular apples, without losing any of the taste or nutritional benefits.